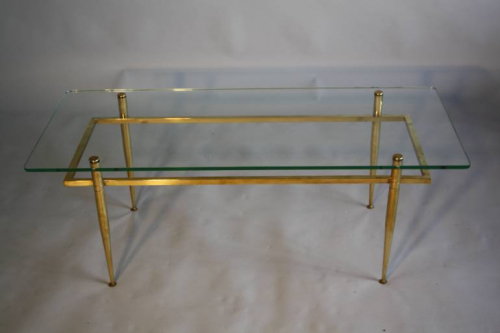 An elegant gilt metal table with glass top. Italian c1950. Overall condition is very good with two very minor nicks in glass which are hardly visible to the eye. This does not affect appearance.